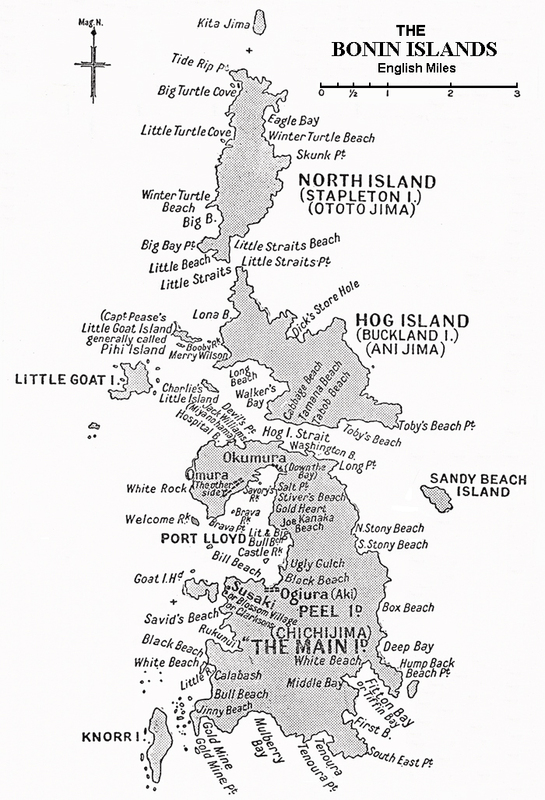 These islands were populated by an eclectic mixture of European and American settlers throughout the Nineteenth Century. The Spanish and Japanese were aware of the islands' existence, but it was Captain Beechey on HMS Blossom who claimed them for Britain as the Archbishop Islands. He was surprised to find two marooned whalers there and took them to safety. 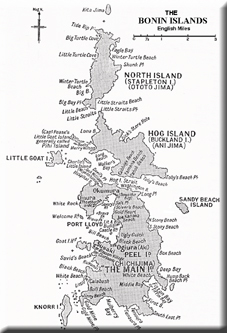 Howver, over the next few decades a whole variety of whalers, cast aways, sick crew members and curious settlers from a wide variety of ships would land and populate these islands. The most important group of settlers was that lead by Nathaniel Savory'in 1830. He was a New Englander but had worked on English ships throughout the Pacific region. He lead a small group of settlers from the Sandwich Islands (Hawaii) with the intention of starting up a British colony. This was despite the fact that he lead a highly multinational group comprising of Hawaiians, a Dane, a Genoan, several Americans and one or two British Subjects. However it does seem that they had the permission and the blessing of the British authorities to set up their colony. The small colony did manage to eke out an existence and living and did grow with the occasional addition of personnel from passing ships. However, passing ships could also pose a danger as some whalers and junks did take advantage of the isolation of these islands to plunder and loot the small colony. In 1853, the American Commodore Perry and the ships Susquehanna and Saratoga visited the islands as part of his tour to force open the Japanese ports to trade. He did actually claim the Islands for the US and placed the American born Nathaniel Savory in charge but this was quickly disavowed by the American Government. In 1861 the Japanese made a serious attempt at colonising the islands for themselves with an expedition of a hundred Japanese colonists. They find the conditions harsh and withdrew in dribs and drabs and finally abandoned the attempt in 1863. With the opening up of Japan particuarly after the Meiji Restoration of 1868, the Japanese again took an active interest in the islands to their south. In 1875, they dispatched a warship to the islands to claim them for the Japanese Empire. They were careful to grant existing rights and protection to the existing settlers and brought them many gifts and equipment to help ease the minds of the settlers. A British ship under direction from the British Consulate in Japan, shadowed the Japanese ship and did not dispute their claims despite their capability of being able to have done so. It seems as if friendly relations with the Japanese were of a higher consideration. Besides, the isolation of the islands from any other British territory had made them difficult and expensive to support. 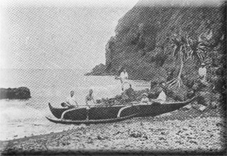 The story of Nathaniel Savory and the Bonin Islands from 1827 to 1876.